The trophies for this game are all achieved out of sequence. You do not have to complete the career mode. In fact you do not have to play the career at all. It is simply a matter of working your way through the list. Firstly though, you should follow the instructions below to set up a course you can use for several of the trophies. Key Custom Course: St. Andrews – Hole 9 – x 18 times repeated. To set up a custom course, go into the course select screen. Pressing SQUARE will bring up the custom course menu. There will be three available slots. Pick one and enter it. You can / will use this course for each of these trophies, so set it up early and have it ready to go. Trust me, it’s a life saver, and should come in very handy. All of the above will only take a day or two of concentrated play. For the last few trophies, you will have to get online. For Weather Report and Sharkies, I recommend hooking up with a mate or a like minded player. Use the forum linked in the guide. That just leaves Big Money. A word of warning. It is highly unlikely that you will be able to reach the $5 million needed in a single week of play, or even two weeks. As competition entries are limited by date, they only become available at set intervals. If you play each daily competition, each weekly comp, each Play the Pros comp and any special comp on that week, it is still likely to take you 3 to 5 weeks of play depending on your skill level. All you have to do is go into the credits in the options menu, watch it for a few seconds, and then exit. The credits will keep repeating on a loop if left alone, never ending. When you cancel out and you should receive your trophy. A really easy Silver. Shoot Par or under on Tour Pro in an 18-hole round, using the Precision Putter, Green Grid set to Off, Very Fast Greens and Fairways, and Long Rough. Before starting, make sure you have the settings right. Basically, you have to make it as extreme as possible, without the bad weather. The most difficult part to deal with is the putting. With no grid and lightning fast greens, you can find yourself racking up huge scores when its not really your fault. To make it easier, use the Custom St. Andrews Hole 9 course. The hole is short with no trouble, and the green is as flat as they come. You should be able to AT LEAST Birdie it every time. 1. You will need a player with decent stats. So use Tiger, or your own player is he is higher rated. 2. Getting the ball that distance will probably require a little wind assistance. Set the wind to Gale Force. On any given course, every fourth or fifth hole should have a 35 to 45 mph wind helping you. To make the most of your wind assistance use the right stick to increase the loft angle on the club. (The shaft of the club in the box on the bottom left of the screen will lean to the left.) By increasing the loft angle, you increase the angle of attack on the club. This means the ball will fly higher, spending a longer amount of time in the air. This gives the wind more time to push, sending the ball farther. 3. Find a hole with a decent sized fairway. If it doesn’t finish up on the short grass, it will not count. Plus, a ball will roll further on fairway. Any contact with rough will kill the momentum of the ball. A long straight hole going downhill is preferable. Tick those three off, and then just let rip. You are looking for a full power, straight shot with a full on tailwind. If you are using metric, then 400 yards is about 366 meters, give or take. Remember to make sure to land on the fairway. NB: Setting up a custom course with 18 suitable holes is recommended. based Traditional or Online game modes. To get this one play any course in the rain. (TPC Sawgrass and St Andrews recommended for easy Eagles). Play off the forward tees to increase your chances of reaching the par 5’s in 2 shots. If you are in a hurry, go to the old reliable St. Andrews Hole 9. It is an easy Eagle opportunity. or Online game mode 18-hole round. The easiest way to get this one is to use the Custom St. Andrews Hole 9 Course. This is not particularly hard to do on any course, but there is no real trouble on Hole 9. It’s an easy way of getting this one done quickly. in a Traditional or Online game mode. The easiest way to get this one is to take part in the second Challenge in TPC Sawgrass against Tiger. In the challenge, you will have to sink a putt of the required length. And you can keep repeating the shot until you get it right. You may also get this one through normal play. NB: This trophy cannot be earned using Mulligans. And make sure you do not use the Putt Preview (L1). the Bingo Bango Bongo Traditional game mode. BINGO – a point is given to the first player to reach the green. BANGO – a point is given to the player who lands closest to the flag. BONGO – a point is given for the lowest score on the hole, a win. the fringe at the front of the green. (The fringe is the band of grass around the green, between the green and the fairway proper.) You need to be in putting range. You can use Mulligans if needed. Once in position, take the second player and drive his ball out of bounds. Do this 5 or 6 times so he excedes his shot limit. Now all you have to do is sink the putt. It should be easy enough, but you can always use Mulligans if needed. 1. Play 18 hole rounds on the Custom St Andrews Hole 9 course. Try and tweak the fairway speed, green speed and which tee-box you use to give you the correct / easily repeatable shot distance. You want to make it as easy as possible to repeat the shot time after time. Unfortunately, there will always be a slightly different wind to contend with. But you should be able to dial it in fairly close. 2. Go into the GamerNet menu and into ONE HOLE. It will not unlock in freestyle mode. You should try and find a Hole-in-One on a par 4. There are usually a few different ones available. The great thong about the GamerNet challenges are that they are EXACTLY the same every single time. This means you can really dial it in, predicting how the wind and ground will effect the ball. This added predictability makes this a much easier method than above. The key to this one is posting early in the day. It counts for posting in the top 50 at the time you finish the round. So you do not have to finish in the top 50 overall. The daily games reset at around 11am GMT. Get online around then and you will easily be in the top 50. Play early enough and you will be the leader in the clubhouse. The later you leave it, the harder it will become to hit the target. Play the Pros is an online mode where you try to compete against scores form whatever PGA Tour event is on in the real world that week. Although the event is generally played over 4 rounds, you will only have to complete 1. Your score does not matter, so just finish your round and sign your card. FIR and GIR using only tuned clubs. DRIVERS, FAIRWAY, WOODS, IRONS and WEDGES. Putters are not tunable, so don’t worry about them. You only have to make minor adjustments to each club set, saving them after each is tuned. 1. Make sure you tune your clubs, obviously. 2. Hit and stay on every fairway in the round. 3. Hit and stay on every green in the round. FIR = Fairways In Regulation. Hit and stop on all 18 fairways with your drive off the tee-box. Also, if the hole is a Par 5, you have to hit the fairway or green with your second shot as well. GIR = Greens In Regulation. Hit and stop on all 18 greens in no more than 2 shots under par for that hole. Par 3 = Hit and stay on the green in 1 shot. Par 4 = Hit and stay on the green in 2 shots or less. Par 5 = Hit and stay on the green in 3 shots or less. Also, if you drive the green on a par 4, it counts as being under both GIR and FIR. This is why I recommended using the Hole 9 Custom course, as it is easily drive-able. WARNING: if at any time the ball goes into the rough, a bunker or another hazard, you will have to restart the whole round. So be carefull. You will earn these for completing small challenges presented to you as you play. Put to put a real dent in the 10,000, you should go into the GamerNet menu. Here you will find thousands of challenges all ready to go. Keep an eye out for UNBEATEN challenges as that pay out double points. Also, the harder the challenge, the more points will be available. I favour the long drive challenges, as most are easy enough to beat. Traditional or Online game mode round. This can be done in any 18 hole round. The easiest way to get this is to purposely shoot a 5 OVER for the first hole (an 8 on a Par 3, a 9 on a Par 4 or a 10 on a Par 5). This gives you a full 17 holes to get your score back into red numbers. On an easy difficulty and on a course you know, this should not be difficult. 5ft or greater in any game mode. This is one you should be trying for from the start. As a general rule, the shorter the club, the easier it is to spin back. The wedges are your best bet for consistently having a go at this. The Lob Wedge (LW) will nearly always spin, even without manipulation. Always aim around 3-5 yards beyond the pin. Use the camera to track the pin as you go past it, and apply spin in that direction. You are looking to make small changes. You are trying to coax it into the hole, not force it. You should be trying for this one from as soon as you start playing. Keep trying and you will eventually get this. Just takes a lot of skill and a little luck. mode with a Driver, SW, 5 Iron and Putter. This one is easy enough to pull off. The key is to remove all the other clubs from your bag altogether. The driver, sand wedge, 5 Iron and putter are all locked and cannot be removed from your set. Once you have saved your new downsized set, it is just a matter of playing a round UNDER PAR on any course. I recommend TPC Sawgrass, as the holes seem to work out as the right distances for your cut down set, more often than not. NB: If you are struggling with the lack of clubs, remember you can manipulate the loft angle of the club using the right analogue stick. In regards to distance (particularly with the SW) lean the club forward for more distance and a lower ball flight, and lean the club backwards for a shorter ball flight with in creased height. Play around with this for best results. Live Weather is a feature that matches the weather in-game to a real and current weather report for that course. To be honest it is just a flashy way to show off the fact that rain has been implemented this time round. by yourself and turn Live Weather on. Now when you go into the course select, you should be able to see the weather at that course in the info box on the right of the screen. Find one where it is bucketing down, and use that for your online match. Once the round is completed, you will receive this trophy. This one is where most of your time will be spent. In general, you will have to rank in the top couple of hundred or less to get any cash for your scores. The Amateur and Semi Pro competitions can be extremely hard to break into. So I would recommend that you try the harder difficulty tournaments. The Tour Pro and Extreme tournaments are actually easier to earn cash in. Even a round of 5, 6 or 7 over can be pretty good. There is no short cut to this one, so play every competition you can, and you will earn the 5 million eventually. or against any player who has this Trophy. Viral trophies seem to be cropping up more and more! 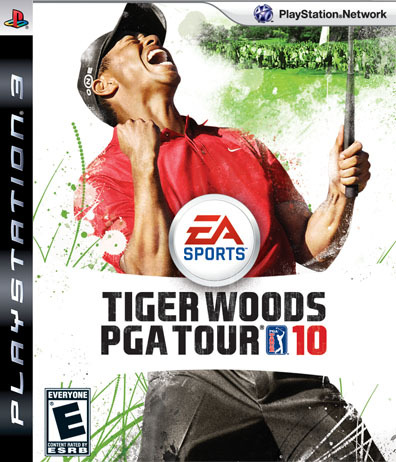 Initially received by playing against one of the games developers in an online 18 hole round, it is more likely you will get it by playing a normal player. You just have to find someone who has it and complete an 18 hole match with them. Congratulations for unlocking all trophies in Tiger Woods PGA TOUR 10! such as a Water Hazard or Out of Bounds. This can be done in any mode. Find a hole with a few different hazards spread around it. Hit your ball into the nearest or most convenient BUNKER (sand trap). From here you want to seek out either a WATER HAZARD (pond, lake or river) or an OUT OF BOUNDS. Simply hit the ball into either of these from within the Bunker to receive the trophy. NB: Hitting from one Bunker to another Bunker does not count for this trophy. in any Traditional or Online game modes. A Mulligan is basically a do-over, an option to reset without penalty. Set up a single player round in any course and in the settings menu before starting you will find the Mulligans option. It is at the very bottom of the menu. Turn it on and start the round. After any shot you will have the option to press CIRCLE and reset. Do this 20 times or more during your 18 hole round to receive this trophy.